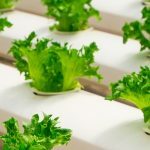 DIY – Build a Flood and Drain / Ebb and Flow Hydroponics System- Thease videos cover building an ebb and flow hydroponic system. This has been one of my better performing systems. I have nice looking roots without any disease problems. I hope you build one.